NIS America have announced at their annual press event that Danganronpa V3: Killing Harmony will release on September 26, 2017 in NA and September 29 2017 in Europe. Enjoy new mini-games, and more on the PlayStation 4, and PlayStation Vita. San Francisco, CA (February 17, 2017) – NIS America announced at their annual press event that Danganronpa V3: Killing Harmony will be coming to North America on September 26, 2017 and Europe on September 29, 2017 for PlayStation®4 and PlayStation®Vita as both a physical and digital release! 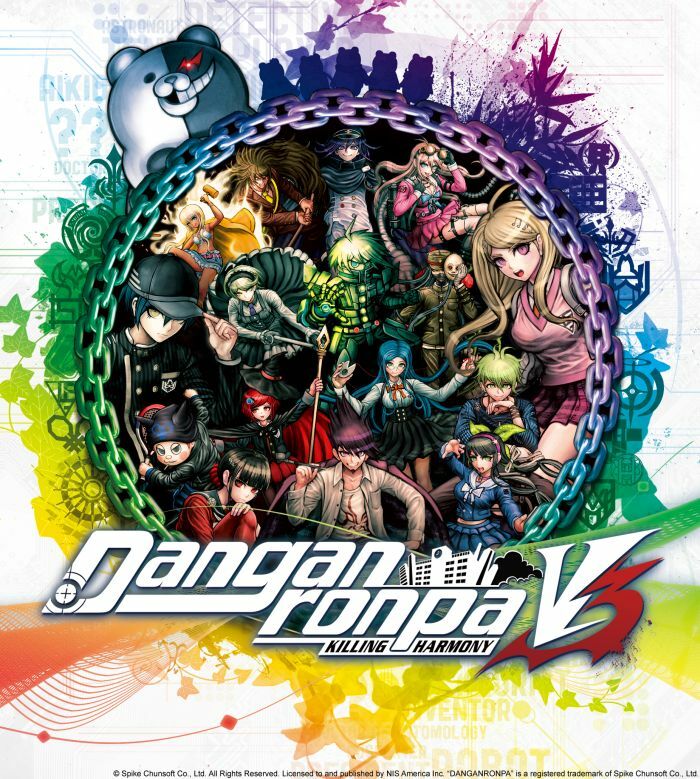 The third main entry of the hit murder-mystery adventure game series, Danganronpa V3: Killing Harmony is an all-new journey into the world of Danganronpa. As the killing game begins a third time, the line between lies and the truth has never been more blurred! Welcome to a new world of Danganronpa, and prepare yourself for the biggest, most exhilarating episode yet. Set in a “psycho – cool” environment, a new cast of 16 characters find themselves kidnapped and imprisoned in a school. Inside, some will kill, some will die, and some will be punished. Reimagine what you thought high – stakes, fast – paced investigation was as you investigate twisted murder cases and condemn your new friends to death. In a world where everyone is trying to survive, nobody’s motivations are quite what they seem. Use your skills to solve each new murder or meet a gruesome end. Lie, Panic, Debate! – The world is shaped by our perception of it. Fast – paced trial scenes will require lies, quick wits, and logic to guide your classmates to the right conclusions.